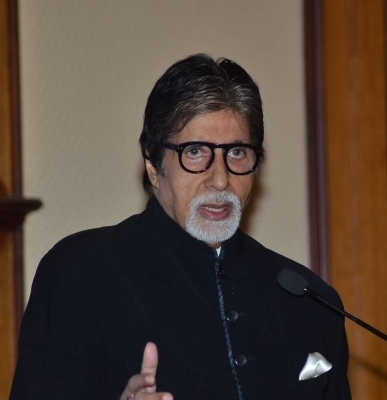 New Delhi/Mumbai Sep 15 (IANS) Bollywood superstar Amitabh Bachchan on Saturday while interacting with Prime Minister Narendra Modi said that he found TV to be an "effective way to spread the message of cleanliness". "Four years ago you (Modi) introduced the nation to the Swachh Bharat Mission. I too decided to get involved as a citizen of India. I have been associated with various cleanliness campaigns including the campaign to clean the Versova beach in Mumbai " Bachchan said to Modi during the launch of the Swachhata Hi Seva Movement via his NaMo App. "Whatever garbage people threw in the sea the sea gave it back to people and it was visible on the beach. When I went to participate in the cleanliness drive I found that we have to dig the sand to bring out the garbage. People there then demanded for a machine to bring out the garbage from the sand and a tractor to dump the waste away from the beach which I provided to them. "I found television to be an effective way to spread the message of cleanliness " the Bollywood superstar said. Bachchan also said that "he realised that what people should do is focus on ensuring their immediate surroundings are clean". "We were involved with a Cleanathon with a television news channel. Chief Minister of Maharashtra Devendra Fadnavis and I went to hospitals with the message of Swachhata (cleaniness) " Bachchan said. The Prime Minister was also joined by industry titan Ratan Tata in the interaction streamed live on theapp. Interacting with the Prime Minister Tata said: "Its a great honour and privilege to help launch a movement which should be the dream of every citizen of India. "To be a strong India the foundation has to be strong and that foundation is the health of our people." He also said that the Tata Trusts are actively supporting the Swachh Bharat Mission and it has spent over Rs 100 crore in the last four years to support the Clean India mission. "Our support will continue in the years to come especially in bringing more technology in ensuring a clean India. And I congratulate you for a courageous move in the form of Swachh Bharat Mission. We are no longer taking the health of our people for granted. We are devoting manpower for a strong India and focussing on healthcare " he said. Tata also emphasised that health of our people cannot be there without sanitation and cleanliness. "We can reduce and eliminate several diseases if we support the Swachh Bharat Movement." Modi then said that he firmly believe that the private sector has a big role to play in creating a Clean India. "Together we shall all achieve the Swachh Bharat of Bapu s dreams " Modi said.